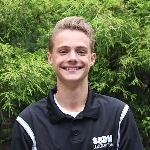 My name is Owen Hagarty, I am a senior at Springfield High School and proud to be the leader of this year’s Donor and Alumni Relations Committee (DAR) and a member of the the 2018-19 Steve Stefani Dance Marathon Leadership Team. Along with SSDM, I am an Officer in FBLA, apart of the Boys Soccer Team, Spring Track Team, Community Service club and National Honors Society. I began my involvement with SSDM through being a dancer during Brunner Bash and my first two years at SHS. As a Junior I joined the Entertainment committee, and learned the importance and outreach a committee can have on the success of every years Dance Marathon. I wanted to pursue a new avenue through Donor and Alumni Relations in 2018-19, reach out more to the community and continue my sisters legacy who was the 2014-15 DAR Leader. I dance in honor of my grandmother and Uncle Mike who lost their battle against cancer. I am beyond excited for this years 2018-2019 Steve Stefani Dance Marathon and pursuing further involvement in the fight against Pediatric cancer. FTK!